Thank you! This is so great for me for two reasons. First, I often send beans to school with my first grader for lunch (hippie school, so not unusual there), and this reminded me to put the next few day's beans into the crock pot right now, before I forget again. Second, it reminded me that when I do forget to put the beans in the crock pot it is completely fine to heat them up from a can on the stove in the morning. Perfect. Thank you. I can't wait to make these! I have one of those email drafts that's full of links to “to-make” recipes especially for work lunches—quick, not too expensive, delicious, easy to change up—and from this post alone, I added three more: the chickpeas, the black beans, and these creamy beans. Thanks so much. I just got finished having a lengthy discussion with a friend about the merits of beans for budget and as sustenance because that is how we roll on Sunday nights. Awesome, yes a can of beans in the pantry is your best friend on a can't be bothered cooking night. And also just had to say… When my husband wants to annoy me, he just starts whistling “I believe I can fly”. It's possibly the worst song ever and gets stuck right up there in the corners. Yay for beans! I have started buying organic beans, but usually just store brand, and I find that they have a much better texture and flavor. I am willing to admit that it could be a placebo, but I don't care. They're only ten cents more expensive, usually, and placebo or not, they taste better to me. So if someone out there is struggling to like canned beans, I'd say try organic! I have had a Doctored Baked Beans recipe for years and years but had forgotten about it until last year when I was staying with friends in Atlanta, who have all my recipes in their file. We found the recipe and made them, and when I realized how delicious they are, I wanted to knock my head against the wall for all the times I had not eaten them. I have, however, made up for lost time. I also make Jeremy's Black Beans from Alone in the Kitchen with an Eggplant. I most often serve them over white rice as a side dish with roast chicken because it reminds me of a meal I used to eat at a Cuban restaurant in D.C.
Creamy beans for me tonight. Thank you for passing them along. 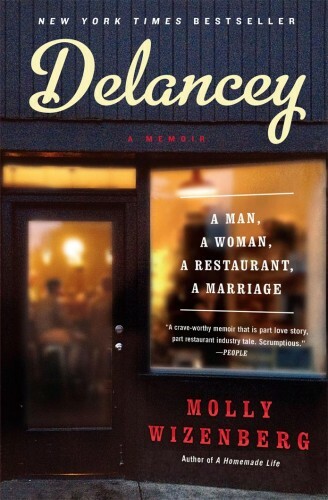 I finished reading Delancey last night. I enjoyed it so much. I haven't eaten your pizza in a long time. I will be making the trek from Auburn to Ballard SOON! A roommate of mine got me hooked on creamy beans a long time ago, but with a splash of sherry, a bay leaf, and two smashed garlic cloves to make it feel more “grown up.” They're amazing! I'm not a fan of the bean juice either. I usually rinse them off which also seems to reduce the sodium enough for my taste as well. We're big on pinto beans lately. We use them in mock Chipotle style chicken bowls for lunch. As long as there's a smidgen of avocado in there, I'm game! Cooks Illustrated had a recipe a few months back for a pasta with beans and they had you add the bean liquid. It felt strange not to rinse but the resulting sauce was beautiful and silky….and I'm certain the starchy bean liquid was the secret. This sounds like the perfect meal solution for those days where I am weary of the constant need to feed small humans, and have not been able to bring myself to think of dinner until 5:30pm. I think I'll make it this week. By the way, made the ricotta cake on Friday with sour cherries (all I had on had) and it was fabulous. I think I might even add more cherries next time. My mother always made doctored baked beans, and called them that. Yummy. But you didn't mention my favorite thing. Leftover baked beans on a buttered slice of bread. Cold. For breakfast or anytime. I make these but with coconut oil instead of butter (not that I have anything against butter) and they are equally divine. Molly, as a fellow parent and lover of spicy foods, when did you start putting chiles in dishes you were going to share with June? How did it go? I have been putting hot sauce on dishes post serving so my 19 mo old can eat what we're eating, but for a dish like this it's just not the same! Occasionally he's had something spicy by accident but he's been pretty unhappy about it, spitting it out and crying. I'm not sure when and how I should start getting him acclimatized. My favorite thing to do with a can of black beans is put them in a sauce pan and then add some salsa to them. I warm them on the stove and they make an easy meal. They are especially good with some cheesy corn bread. I'm a bean doctor too. I think cannellini beans can be a delicious meal all by themselves with just a few additions. I also love to mix them with tuna, oil and lemon juice. I could eat bowls of it. My favorite baked-bean recipes start with canned baked beans, come to think of it. This is funny, we just canned beans for the first time last night. We have a batch for tonight that will be perfect with this recipe. I just happened across you 7 minute egg article yesterday and loved it! Thrilled you're sharing the creamy beans because my husband and I were definitely intrigued and hoping to try soon! Also, re: beans. Just finished listening to a podcast by ATK where they redid their canned/cooked bean tasting and found that canned beans actually performed better! So, canned bean on my friends! I make creamy kidney beans or cannellini beans by cooking them down with the can liquid until thickened then drizzle in good olive oil while stirring to make an emulsion then finish them with salt & pepper. Really Good! In addition to the brands you mentioned, both Westbrae and Eden sell ORGANIC canned beans. I prefer the EDEN brand because they are only cooked with kombu seaweed (which makes them more digestible) and you can control how much salt you want to use. I just (20 minutes ago) received my first ever shipment of Rancho Gordo dried beans. Flageolets for a gratin from The New Vegetarian Cooking for Everyone, and an “extra” pound of chickpeas, to compensate for the exorbitant flat shipping rate to the east coast. These are great ideas for beans…I think the pesto and chickpea dish will be first. Thank you for taking the guilt out of using canned beans! 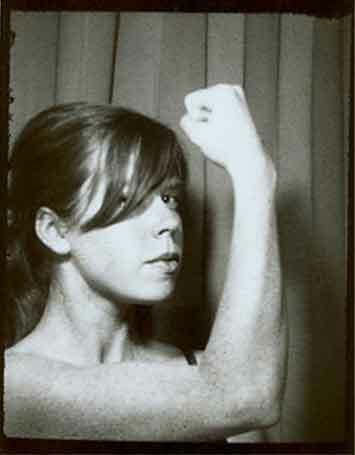 I must have been channelling some bean energy. Sunday night dinner was black beans, no salt added so after rinsing I salted them. Topped with lime, dijon, and EVOO. In a bowl with fennel shavings, diced red pepper and cubed avocado. It was great. I made Melissa Clark's braised beans with bacon and wine last month after Luisa wrote about it. 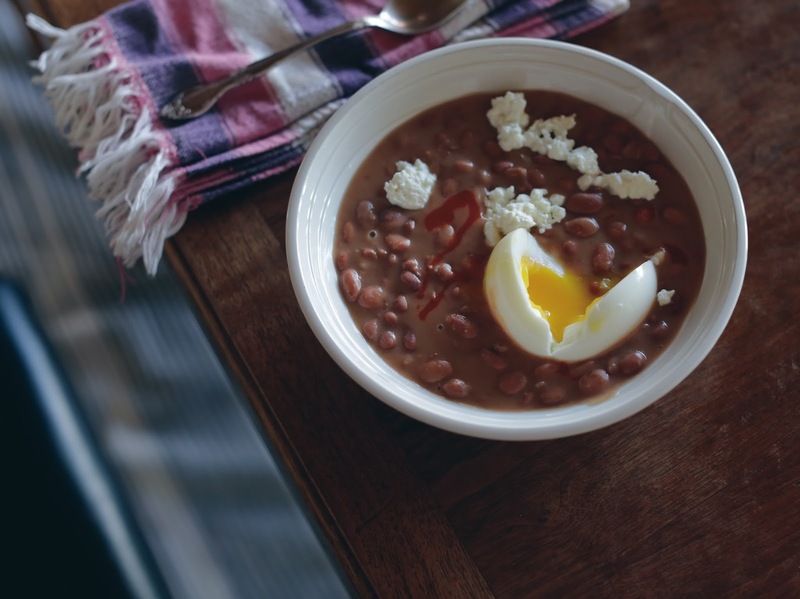 The beans I used were from Rancho Gordo called Mayocoba bean — a meaty bean from Peru. I wasn't expecting much, but what a fabulous dish — something I would look forward to eating every day. I confess that I'm not that fond of bean dishes but will eat certain salads and soups that are flavored well. Anyway I stocked up on Mayocoba beans and have big plans for them! Your recipe looks good too — must try soon. It's like you knew I had a sick, cranky threenager, and that I needed a sanity-saving easy dinner. Thank you. God, I love canned or jarred beans and I work them into a lot of meals. My favorite is to saute shallots and tomatoes in olive oil then add a can of black beans and some chili powder. Roll it up in a tortilla with avocado,cheese, rice, or nothing at all and you have a delicious meal! I too am a bean doctor, Bushes Vegetarian baked beans as a base. My neighbor who is from Palestine, had sent over some homemade hummus after my husband snow plowed her drive. It was so good we almost fought over the last of it. One Friday I was seriously wanting more. I thought about showing up on her doorstep with a cup and imitating Oliver ala Dickens, but I was in my PJs. I found a recipe and made my own. And canned beans were awesome in that! Almost as good as the original. I make “cheater” white bean soup the same way….take 4 cans of white beans–doctor with tons of stuff…even a bit of ham or sausage if I have it…herbs, butter, bit of vinegar–for sure a rind of parmesan or other hard cheese. Then I add in strips of kale, cook for however much time I've got at least half hour but an hour is better…and voila…super cheater white bean (very creamy) soup. Doctored baked beans were probably the first hot dish my mom taught me to make. To this day it is my favorite baked beans recipe. This from someone who makes her own bagels and puff pastry. Ours consisted of canned baked beans mixed with ketchup, mustard, brown sugar and dried onion flakes. My favorite leftover dish made with this is a bean sandwich. Hamburger bun is best, but bread works in a pinch. Spread with mayo, slop on the beans. I didn't even mind when kids at school laughed at my lunch. Little did they know what they were missing. What is it about dads and canned beans and wurstel? My dad has always been such a bad cook – he moved from his mum's table to my mum's table and rarely had to pick up a pan. So when my mum is sick or away, the few things he could make are pasta with oil and parmesan, or drained canned beans stir fried with roundels of wurstel and tomato sauce. He called this his signature dish and named it 'fagioli alla Terence Hill', fagioli being beans, and Terence Hill being an Italian-American spaghetti western actor. Classy. But so tasty. Oh, nostalgia. What do you imagine people had stuck in their heads before there was music? While I'm not a bean person, I do always have black beans in the pantry and Bush's pinto beans (the latter for bbq beans). My mouth is watering from this post, tho. Is Tabasco too hot for the hot sauce? Indian cooking has creamy beans…I think they're dal makhani, with actual cream. I've found that draining and rinsing canned black beans and cooking them down and mashing gives them creaminess without adding any extra fat (using the Bon Appetit Bean Tacos recipe as guide for spices). I'm not usually a big bean person, but we made these tonight over rice with leftover chicken, avocado and cilantro on top. INCREDIBLE. New favorite weeknight recipe! I love these simple but delish concepts. My dad used to make us beans and hot dogs for dinner on every camping trip. I secretly asked to have it whenever my mother was out of town. I completely agree, no better combination. Now, It's 8 o'clock and I've yet to eat dinner but I have a can of beans in my pantry and 3 cartons of eggs in my fridge calling my name. Thanks for dinner. In our Italian household beans were a staple. What an economical way to make a meal and they are good for you to boot. I am certainly not a snob when it comes to beans. Oh! We make an old settler bean recipe that has bacon and hamburger in it. It's a meal in itself and there is never any leftovers. I made this last night and all I can say is THANK YOU. Beans for Breakfast! This is so timely. Over the weekend we visited “some-sort-of-cousin” in San Juan Capistrano (CA) and, after a dinner of wonderful pizza from their new outdoor pizza oven, they tucked a large cast iron Dutch oven into the embers, left it overnight, and served the baked cannelloni beans, with home made WW sourdough, the next morning. It was fantastic. My kiddo's favorite meal as a tot (and still one of her favorites as a tween), and one of her first utterances: “Beeenscheeeeze”. Beans out of the can, melted cheese on top. Ok, ok, I too am a hippie (I live in part of Boston where it's the law) so I always threw in a bit of chopped steamed kale. Great kid food, and we're having it tonight for dinner over rice. I now make them in the pressure cooker in big batches and freeze them in portion sizes, but no matter how you eat 'em, beans are good food. 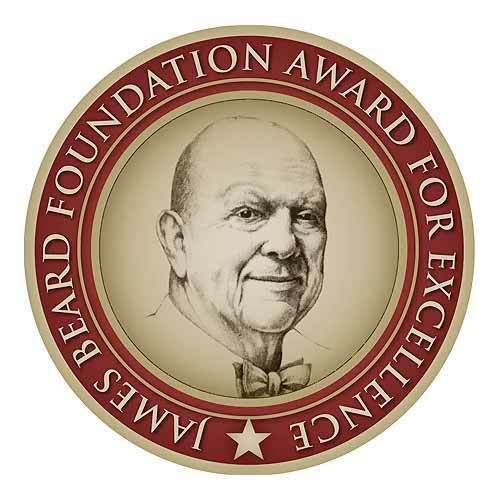 Congratulations on the James Beard nomination, well deserved! The beans look up my alley so I hope to try them these days. I've been doing a lot of doctored beans too lately – mine usually end up with garlic, some roasted corn, and a bottle of beer to augment the canned bean liquid. Ahh! Molly! I'm thrilled by this post. My love for canned beans is one of my greatest kitchen secrets. Although I do sometimes soak and boil bags of dry beans, I really adore their canned counterparts. My husband and I whip up a quick batch of rice and beans one weeknight each week. For this, we rely on canned beans, and just about a quarter of their liquid, which adds a bit of extra flavor to the dish (though I agree that too much of the liquid can produce something a tad slimy). I guess we are in good company. 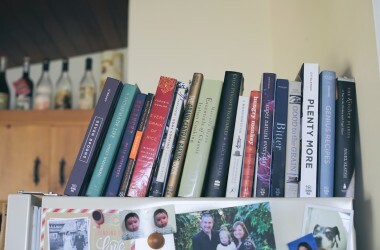 I noticed the other night while flipping back through the Prune cookbook that Gabrielle Hamilton also prefers canned beans in some of her recipes. Zing! Lastly, congrats on your James Beard nomination. I saw your name on the list this morning and squealed! Well deserved! Eureka, I have found my peeps, the bean fixers! Bean doctoring has been a relatively solitary, but delicious, pursuit in my world, but no more. Yum! Looking forward to trying some of these. The ready-to-eat black beans on PCC's soup bar are very tasty & work great in a pinch. I usually have a stockpile of canned beans (especially chickpeas), but now I have discovered that you don't need to soak beans before cooking, I have bags of cooked black beans in the freezer – so easy to use and no slime!! Thank you for vindicating my long-held sneaking suspicion that canned beans are a perfectly fine ingredient–yes, I know I could save some money by cooking dried beans, but you just can't beat the convenience. I will have to try this recipe as well as some of the other ones you linked to, yum! Rinsed canned cannellini beans, drained cheap canned tuna, finely chopped onion, a splash of good olive oil, balsamic vinegar, sea salt, fresh ground pepper. Mix and serve on top of or mixed in with whatever fresh herbs or greens you have on hand – curly parsley, flat parsley, watercress, endive, arugula, spinach, micro greens, basil, your choice. So good! Beans and rice will always be my comfort food, and I always keep canned chickpeas in the house. Then I'm a squeeze of harissa or bunch of kale away from dinner. I'm looking forward to trying these creamy beans with a seven-minute egg and a swirl of sour cream! Btw, my grandma often made a bean soup I think you'd like. What made it special is that she'd drop an egg into it and it'd poach in all the wonderful bean pot liquor. I lived for that beany egg! “But there is nothing inherently wrong with a canned bean. Being told otherwise makes me tired.” Well said. My mom always doctored Bush's baked beans for superb baked beans! I thought “doctored” was a family term, actually, so I was surprised to read it here and read so many comments identifying it as well. I stopped buying canned beans several years back for various reasons, but one of the big ones was the ease and perfection of cooking beans in the slow cooker with no soaking. I get luscious bean liquid when I cook the beans in the slow cooker. Did it this afternoon, in fact, in 2 hours because my husband finished up the beans and rice for lunch that I was planning for supper and I just didn't have a better idea. In West Virginia we top the pinto version with chopped raw onion and serve it with cornbread. The best! I can't wait to try this. This will be great when it gets too hot for more involved cooking. I have been making Brandon's black beans just about every week since you posted them. My two boys are big fans. I have tried to serve them black beans not made Brandon's way and they are basically,”what's wrong with these black beans?”. Made these last night and they were fantastic; thank you so much for sharing! Question, though: do you have any tips for reheating the beans the next day? Thanks! I love doctored canned beans! one of the best fast foods! I usually add a generous pour of olive oil and a healthy squeeze of lemon juice to a can of pinto beans, if I'm fancy I also add sauteed onions, tomato and oregano, and eat it with an egg over toast. Are you familiar with Heston Blumenthal's 6min egg? Prep a little different than yours but also works like a charm. I really want to make this recipe! It looks really delicious. 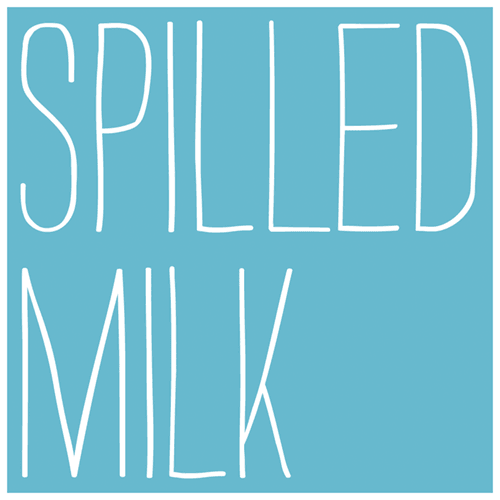 I myself write a food blog too, currently. Trying my best to work on my cooking skills! I am excited to make this! I married into a bean doctoring family, and one of their cheap family meals growing up was Campbell's bean with bacon soup. You cook up the soup with less of the suggested water (so it's thicker). Add some tobasco, chopped onion, chopped tomato, throw on some cheese and chopped cilantro. We eat it with a side of Juanitas tortilla chips. Sooo good! Okay, I'll admit I was skeptical. I am a big Rancho Gordo fan. But, these beans were amazing! I used Bush's pinto and cooked then for about an hour and a half. Definitely a new staple in our house. Thanks for the bean post! The way we eat 'creamy beans' in my house is on top of rice, and not with a poached egg, but fried, with crisp edges, and lots of hot sauce. Molly, can I tell you how happy it makes me to hear that I have permission to use canned beans? Thank you! I always wish I was soaking dry beans but my life includes a toddler and an infant and you've given me the permission to let this go and that is such a win right now for me. I immediately made this on the day you posted it and first slowly sautéed an onion in the butter. Amazing. I'm serving a triple batch of this with tortillas and all the fixings on Friday when I host a casual dinner with two other families from our street. Ok, another thing to try with canned black or pinto beans… Simmer until the sauce thickens as you suggested above, adding a bit of cumin to the beans, and top with Pico De Gallo, and fresh avocado… Absolutely delicious. We do the same thing over a bit of rice sometimes. I actually made these with sambal because I was temporarily out of hot sauce and loved them that way as well! Beans are a stable back home but they always have rice on the side. Not until I moved to France, I saw beans being eaten alone. Oh me oh my! I made these tonight with black beans and they are so delicious I can't wait for lunch tomorrow! I just made these for dinner tonight along with the 7 min eggs and it was perfect. I merged together your “doctored beans” ideas (onion, cumin, oregano, garlic) and used a can of black beans and a little extra liquid and simmered for an hour until they were just falling apart creamy. Then I spooned them over toast, topped with a little sour cream, and served with an egg. It was the best quick and easy dinner I've had in ages! Thank you! I cannot get over how good these are! 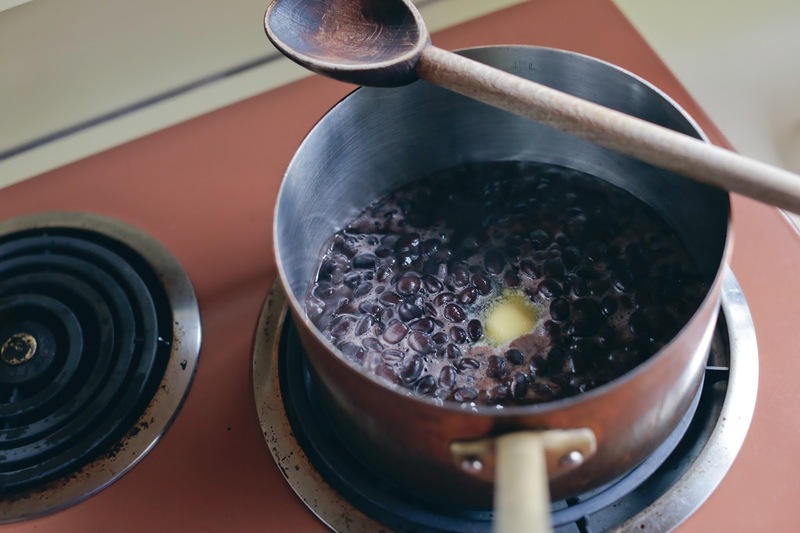 They are like magic — this method transforms black beans into some kind of crazy addictive substance! Thank you — this recipe is going into heavy rotation in our house! Holy holy holy! Looks like some gruel of the 'please sir I want some more' variety but goddamn do I want some more! I am licking the bean pot…… what even….. GENIUS! I had to come back and thank you again for this recipe. I cannot get enough of them — if I go longer than a week without having them, I start craving them! And miraculously, these seem to remove any problems I have with digesting beans! I got onto your website today, searching for this recipe, remembering it was only a “few weeks” back. Try a few months! 🙂 Needless to say, this recipe's a keeper. 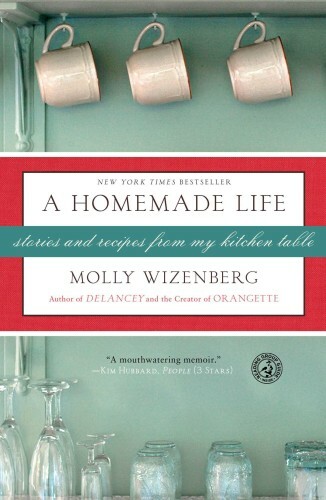 Thank you so much for this recipe, Molly – delicious! – and a big thank you as well to all who shared their own versions. Since struggling to become a vegan (for health reasons), I have come to love “doctored beans” and am always looking for new recipe ideas. 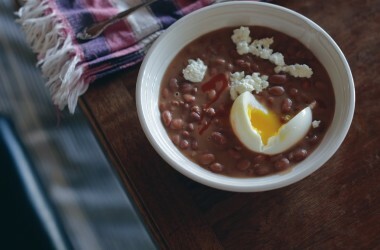 And in the spirit of sharing, here is a favorite quickie bean soup recipe of my own: a can of unflavored re-fried black beans (or pintos), preferably unsalted, with enough of approx equal parts Swanson’s Mexican Tortilla-flavored broth & milk (I use soy) to make creamy (I usually use half an empty bean can of each). Stir well, heat, add some optional cumin &/or garlic powder (I usually omit if in a hurry), then serve with opt spoonful of salsa, crushed tortilla chips and/or chopped avocado. Mmmm. After trying this recipe tonight, I have become a canned black bean convert–they are AMAZING! Hi, I just wanted to thank you for this recipe. I read it when you first posted and kept thinking about it from time time, then tried it for the first time tonight with the eggs and some sauteed greens from our garden. I have three kids and they all went bonkers and kept asking “What did you do to these beans? They are soooo good!” It’s a keeper. Molly, I know this post is several years but I just made yet another batch of these and wanted to come and thank you, because I make a version of these once a week. It’s a reliable and endlessly adaptable back pocket recipe and I am so glad for this, and so many of the other great recipes of yours over the years that have turned into regulars in my kitchen. Thank you thank you thank you! Delicious. I made some doctored black beans today, with cumin seeds, thyme, and butter. Forgot to add hot sauce. I love these beans, but since I got an Instant Pot I’m kind of into dried beans these days. Is there a good modification for cooked, but not canned, beans? Plain water instead of juice from the can? I just wanted to let you know that I started making your seven minute egg for my six year old daughter. She is obsessed. She ate three for lunch the other day (one was supposed to be mine). She cried hard the other morning because she dropped her egg and the bus came before I could make another (I have since started making several in advance). Basically, she’s going to turn into a giant egg. 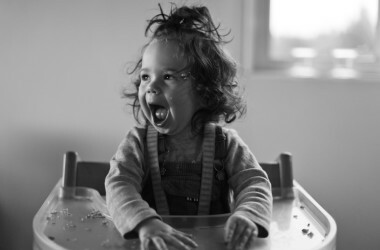 But, she’s happy, and she’s eating something that’s not sugar (her other obsession).